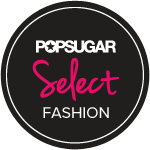 Thank you for selecting Dalabooh.com as your ultimate high fashion destination. Outfit details: Rachel Roy Dress, Double Breasted Blazer, Zara Heels and a Hermes Kelly Bag. Dalabooh.com is a fashion and beauty blog that publishes contents about my personal style, tips and advices. It is a platform that seeks to motivate every individual to strive their dreams and to fully live their passion. Dalabooh.com also aims to empower women from all over the world to inspire them and to let them discover their beauty by using fashion styling as a way to express their emotion and to gain confidence. I recently created the French Fashionista segment where I interview French fashion bloggers about their personal style, inspiration and opinion about French fashion vs. American fashion to let people know that not all French people wear stripes shirts with a baguette under their arms! It is time to break the fashion stereotypes! Dalabooh.com wants to educate people about the essence of luxury brands. Why are French brands so popular? Without a solid story, mission and savoir-faire a brand would not survive! I called it Dalabooh because I wanted the name to sound personal, which is a mix of my middle Laotian name Dalavane and my nickname Bibooh. I am Alice Chan, the editor and the fashion guru behind Dalabooh.com. I was born and raised in France but decided to spread my wings and fly to new destinations to discover new trends and cultures. I decided to create Dalabooh.com while I was living in Philadelphia as a creative outlet to express my thoughts about fashion from a Frenchie perspective. I love to attend fashion events and to visit showrooms. You might see me with my little camera, taking pictures of anything that catches my eyes. My current location is in between Paris and Geneva. My style is feminine, edgy and minimalist. I like to spice up my look with statement pieces from designers such as Chanel, Gucci, Dolce and Gabbana but also from affordable brands like Zara, Topshop and Asos. I am available for event coverage, sponsored posts, product reviews, giveaways and brand collaborations. Send an email to chanalice31@gmail.com! D’où en France est-ce que tu viens? J’ai passé l’été dernier comme stagiaire à Tours où je retournerai en septembre pour travailler comme assistante de langue! Je suis très contente d’avoir trouvé ton blog–je cherche des blogs français (à part The Cherry Blossom Girl) depuis longtemps! Je viens de Lyon. Cool! Je suis jamais allée à Tours, tu as aimé? Ca me fait plaisir que tu apprécies mon blog! Ton blog est pas mal aussi! 🙂 Keep in touch, you can email me anytime chanalice31@gmail.com I might be in France soon too.